Carrick on Suir’s Sam Bennett will be hoping for more success when he lines out in the Tour of Turkey. 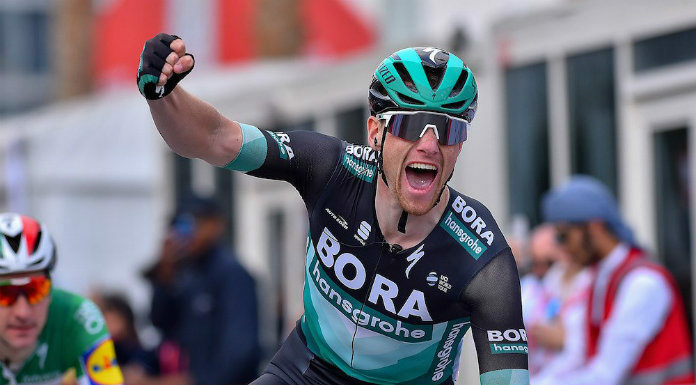 The World Tour event has been a happy hunting ground for the Bora Hansgrohe sprinter in the past – he won 3 stages and the Points classification last year while in 2017 he proved fastest on 4 stages. This year’s race starts tomorrow with 6 stages in all. Bennett – who has notched up a number of impressive wins this season – will be boosted by the return of one of his top lead-out men to Bora Hansgrohe. New Zealand’s Shane Archbold has been re-signed by the German squad for the remainder of the season.